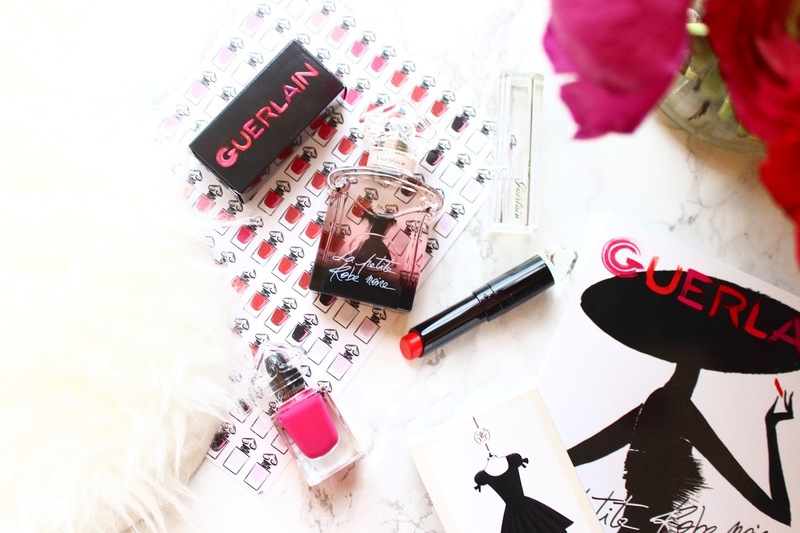 Guerlain is a relatively new brand for me but it's one that I've completely fallen in love with both for their make up and skincare. 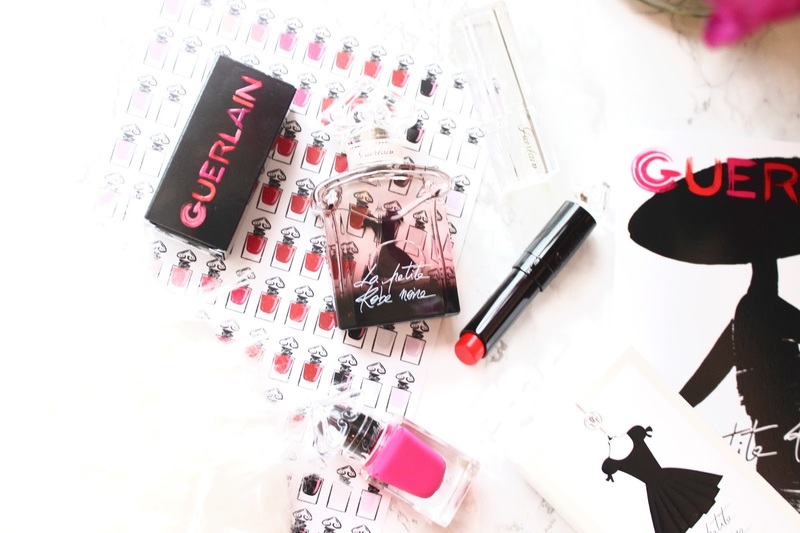 Their most recently launch is La Petite Robe Noire, which consists of 20 lipstick shades, 8 nail shades and a stunning new fragrance. Firstly the packaging of all the products is so beautiful and references the upside down heart from the original Guerlain perfume. The fragrance is what I would describe as a beautiful date night fragrance and perfect for both summer and winter. It contains a blend of black cherry, black rose, patchouli and black tea balanced out with almond and tonka bean for a real smokey and fruity finish. The new lipsticks are a blend of 3 different textures in a really extensive range of shades. They're really buildable so you can either wear them as a wash of colour or apply a few layers for a really intense look. They're also scented with a fruity floral scent taken from the heart of the La Petite Robe Noire scent, so everything from the range is intertwined. Then finally the finish is ultra-shiny, which makes a nice change from really matte lipsticks and perfect for this cold weather! Finally are the La Petite Robe Noire nail polishes that come in a range of different shades from pale pink to deep black. The finish on these is super shiny and thick, which is something I always look for in a polish as I like my nails to look like they have shellac on them without having to go through the damage it causes to my nails. The brush is also the perfect size for applying a full nail of polish in one neat swipe, which again is something I always look for so these get a big thumbs up from me! What are your thoughts on La Petite Robe Noire collection? Isn't it just the cutest thing? !